It's no secret: we're all getting older, and my kids are no exception. They're growing in their independence, and that includes nightly prayers. They usually say them on their own before falling asleep, but tonight was different. Tonight, I was invited to their inner circle. Individual prayers gave way to a group prayer as we all gathered on the bed and held hands. First went the Little One, then me, then Middle Man. They thanked God for mommy praying with them, and for daddy visiting friends. They were thankful for a good dinner, and I think they even prayed for the dog! Most importantly, they prayed heartfelt prayers, and that's such a great feeling. So often, I feel stale in my own prayers, thinking they all sound the same. Day after day. In a rut. "Bless my husband. Protect our children. Forgive all my dumb mistakes. Blah, blah, blah..."
Prayer isn't supposed to feel like an obligation--it should be an honest conversation with our Lord. We've complicated it by thinking we have to sound "preachy," or that we need to use big words and Sunday morning cliches. Our flesh wants to be seen. Our soul just wants to speak. 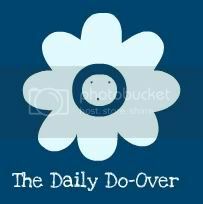 I so enjoyed listening to my little men's original, all-about-my-day prayers. It reminded me what authentic prayer sounds like. No wonder Jesus wanted to be around the children--they know how to be real. Want to get out of your prayer rut? 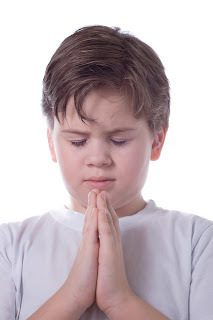 Listen to a child pray - then get back to basics!